Celestron’s PowerSeeker 70 EQ telescope combines the solid optical performance of a classic achromatic refractor with a light weight equatorial mount. 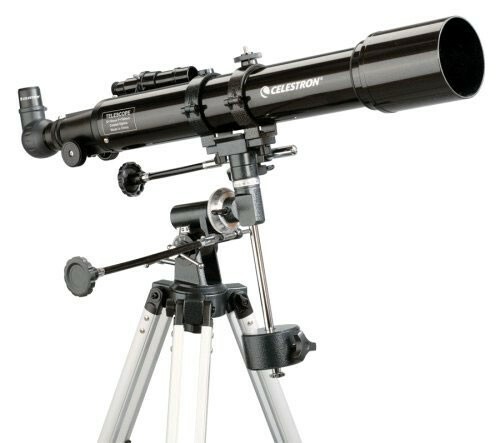 This telescope has half the light gathering power and half the weight of Celestron’s classic C102 refractor telescope, for much less than half the cost. This is a real telescope and it’s capable of serving up delightful views to the junior astronomer or the family on a budget. 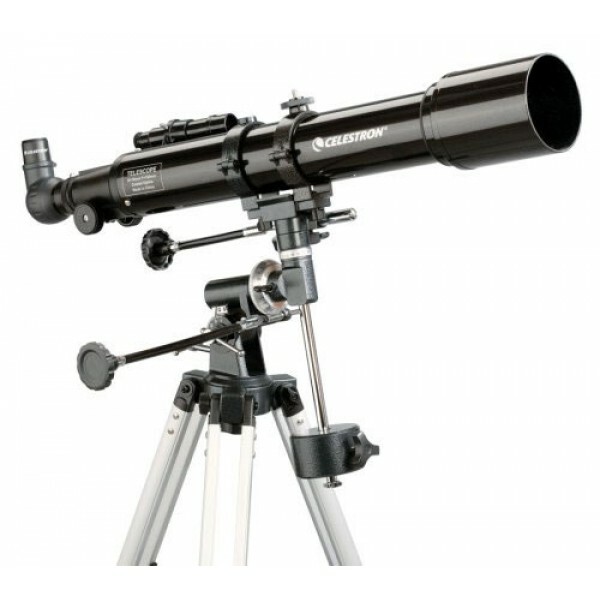 70mm (2.8") diameter refractor, 700mm focal length (f/10), German equatorial mount with RA and DEC slow-motion controls and setting circles, 5x24 finderscope, 20mm eyepiece (35x) - 1-1/4", 4mm eyepiece (175x) - 1-1/4", erect image diagonal - 1-1/4", Barlow lens 3x - 1-1/4", adjustable aluminum tripod with accessory tray, "The Sky Level 1" CD-ROM. Metallic charcoal black tube color.